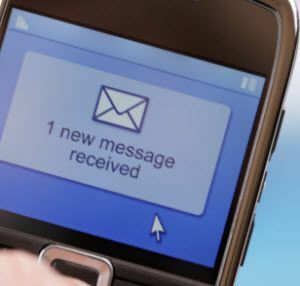 It’s hard to believe but it has been just over 19 years since the first text message was sent from a computer to a mobile phone, and 18 years since the first phones were produced that allowed people to send text messages to one another. These days, text messaging is so common and widespread (especially among the younger generation) that it is hard to think of a time when it did not exist. As time has gone on, text messaging has evolved along with the phones they’re on. You now have more advanced keyboards 5 Best Android Keyboards for Emojis, GIFs, and More 5 Best Android Keyboards for Emojis, GIFs, and More These keyboards make it super easy to add GIFs, emojis, and all sorts of other goodies to anything you type. Read More such as SwiftKey X [No Longer Available] which tries to predict what you are going to say next, in order to save you some time. I have this function on my Android phone and its success rate is absolutely phenomenal, so much so that it unnerves me sometimes that it knows what I want to say before I know myself. However, some auto-prediction programs don’t always go so well…. With text messaging, language has evolved as well. Who hasn’t heard of LOL, a word which has been added to the Oxford English Dictionary (and which doesn’t mean Lots of Love, as some people think). The concept of “sexting” has also given rise to its own phone language. Let us know what you think of the infographic. How often do you text? Do you text more than you phone? How high is your monthly phone bill because of texting? Give us all your text-related comments and opinions in the comments section below. ROTFL! Cya! Really? Your carrier raised rates? With the rise of Skype and other similar programs, telecommunication companies here are battling it out for who is able to give the cheapest rates and the best bundle deals.